Georges St-Pierre explains why a bout with Tyron Woodley just isn’t in the cards for now. Woodley is coming off a spectacular performance against Darren Till. “The Gorilla” was undefeated going into the bout, but Woodley dominated their welterweight title bout at UFC 228 earlier this month. “The Chosen One” retained his title via second-round submission. St-Pierre was last seen in action back in Nov. 2017. He challenged Michael Bisping for the UFC middleweight title. The bout headlined UFC 217 inside Madison Square Garden in New York City. St-Pierre captured the 185-pound gold with a submission finish. The following month, St-Pierre vacated his title. 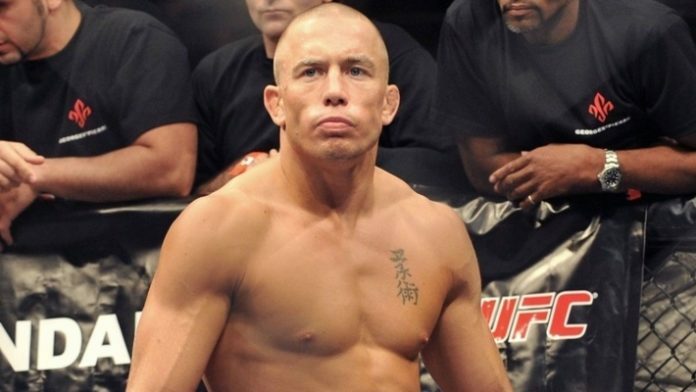 Do you want to see Georges St-Pierre vs. Tyron Woodley some day?